A spectacular variety of Miltonia ! 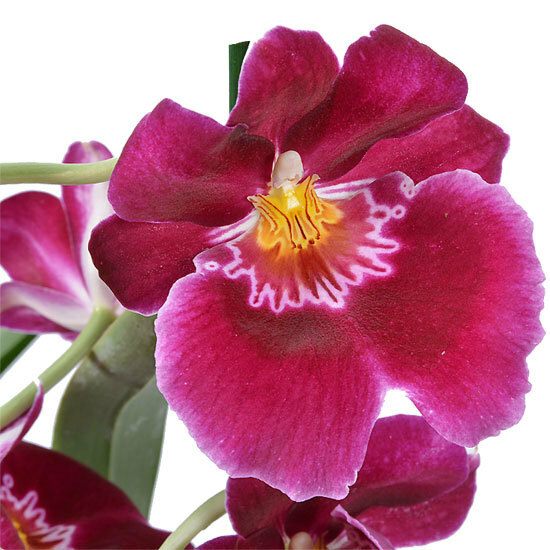 We're sure you'll love this 'Red Tide' variety of Miltonia orchid for the originality of its fuchsia flowers, flecked with white and yellow, but also for its long life and ease of maintenance, making it an ideal gift for any occasion. This double-stemmed orchid has been placed in a stylish varnished ceramic pot for the perfect finishing touch. An unforgettable gift to share without a moment's hesitation! 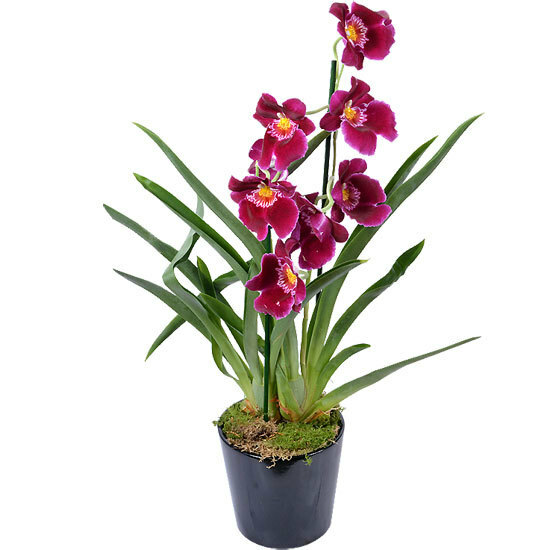 How to care for a Miltonia? Light: your orchid enjoys very luminous places so that it can grow better. In summer, keep the orchid in a light shade to protect it from sunburns. Watering: we advice you to water your orchid every week with moderate water by showering the top of the pot. You can also spray the roots outside of the pot to encopurage a new flowering. Fertilisation: this orchid needs fertilizer during spring and automn to encourage new flowerings. Repotting: prefer to repot your orchid during summer to maintain it in good conditions. Outside: you can put your orchid in the garden during summer, particularly in the shade. Be careful to water it a lot during heat waves and to protect it in case of heavy rain.